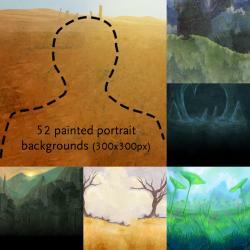 52 portrait backgrounds, extracted from Hyptosis' Lorestrome Portrait pack (CC0). I've done what I can to fill in the centers with a combination of hand-painting, clone stamping, and content-fill AI. 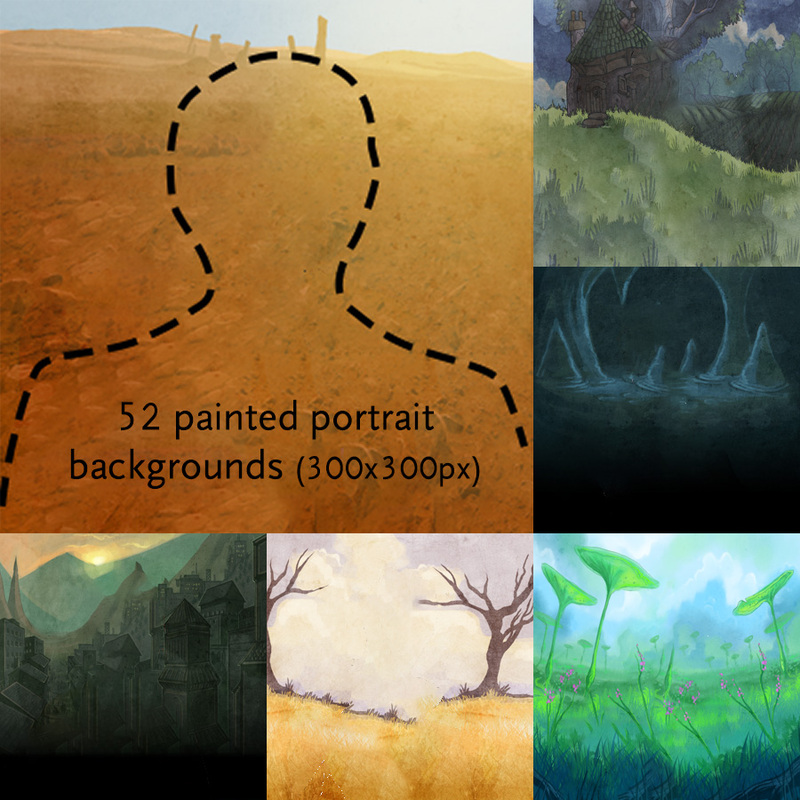 Several of these paintings contain jumbled textures in the center, but should still be usable for portraits. This is my first set of extracts from the Lorestrome set; I'm also working on reconstructing elements from the portraits and will be releasing those as modular packs. Original is by Hyptosis, under a CC0 license. Okay, wow. This is impressive. @bluecarrot16 - I am back! ... For this, anyway. Unfortunately I'm still sick, and the condition's only gotten worse. My LPC projects will have to wait. I think I can handle Lorestrome, though it may be slow. Hopefully you'll enjoy checking out what's new in the LPC collection https://opengameart.org/content/lpc-collection , and you might appreciate that others are also working on improvements to LPC character creators: https://opengameart.org/forumtopic/lpc-updated-spritesheet-generator .